At Panel Built, we place a lot of emphasis on being as efficient as possible and constantly improving. That’s why lean manufacturing is a huge part of our day to day work. Since our inception, we have focused greatly on maximizing our quality, productivity, and usable workspace which is why we adopted Just-In-Time manufacturing practices. Just-In-Time (JIT) is a method of manufacturing that focuses on increasing efficiency, reducing waste and minimizing inventory costs by receiving and producing goods as they are needed. Just-In-Time production is one of the pillars of lean manufacturing. However, accomplishing Just-In-Time production is not as easy as it seems. In order to properly maintain JIT, a company must be able to accurately forecast the demand for materials, and it requires a consistent supply chain and manufacturing process with minimal human error. Otherwise, orders will go unfulfilled because the product simply is not there. For this reason, many systems are typically adopted alongside Just-In-Time manufacturing. One of the most popular of these processes is the Kanban System, which is the topic of our post for this week. Kanban is a system that aims to maintain proper Just-In-Time inventory. Like a lot of basic lean manufacturing principles, it was developed by Toyota in the early 20th century. The word itself comes from the Japanese for “billboard,” and that is because visualization is the most prominent aspect of the Kanban System, but we will touch on that more later on. Kanban, in its most basic form, is a scheduling system for Just-In-Time manufacturing. The system itself was developed due to inspiration from a typical supermarket after Toyota employees saw how efficient their stocking system worked. Essentially, in a supermarket, all product is picked perfectly (i.e. exactly when the customer needs it). The grocery stock is guaranteed to be there for the customer to pick it. 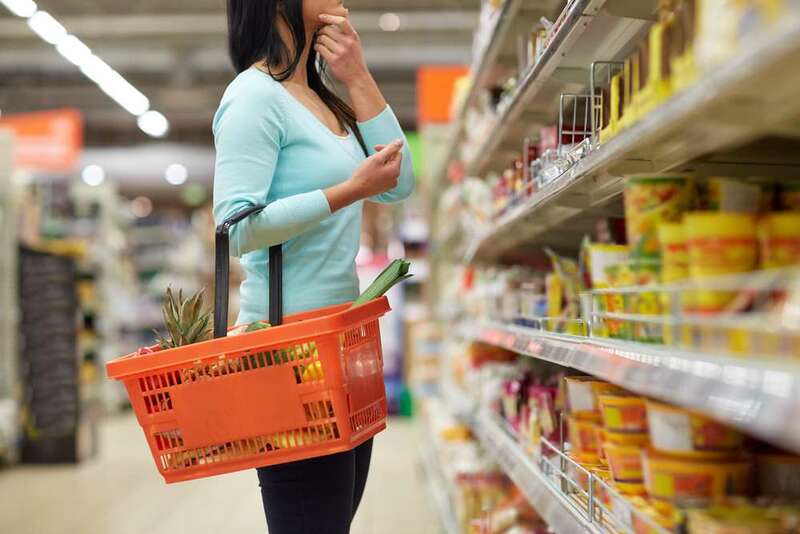 Having a consistent flow of customers, the supermarket can reasonably predict the amount of stock that they will need in a given period of time, and that is the exact amount of stock that they keep on hand. Therefore, as they predict they are running low on a particular good, they can have it re-ordered to keep a constant supply for the customer. In this system, goods are only replenished if they are being purchased. In this way, inventory is “pulled” through the process by customer demand. What does it mean for an Item to be “Pulled” through the process? When picturing “Push” and “Pull” systems, it is best to think of the products that would be manufactured in each. In a push system, think of a brand new toy that is scheduled to make its debut on Black Friday. It has been advertised for months leading up to the holiday shopping seasons and parents are literally knocking down doors in order to get their hands on it. This product will be mass produced for months leading up to the event. Because it is tough to forecast exactly how many items will be sold, and you cannot just instantly make the toy every time someone wants to purchase it, these items are pushed through the manufacturing process and wait for the demand to come. Since there is little variation from product to product and everyone wants the same one, retailers have no issue letting them sit on the shelf until a customer comes along to purchase it. In a pull system, it is better to picture a larger ticket item that will vary from customer to customer, like one of our modular buildings. Each project that Panel Built manufactures is tailored specifically to customer specifications. If Panel Built wanted to employ a push system of manufacturing, we would be sitting on acres of modular buildings that may never get sold because they don’t fit a customer’s exact needs or parts and pieces would get pulled from different projects, leading to large amounts of waste overall. Instead, our customer’s demand pulls the product through the production system. This way, the product is more customer specific, there is less overall waste, less inventory, and a higher overall precision of manufacturing. When applying this to a manufacturing environment, you have to imagine each process in a system as a customer of the process preceding it. So, let’s say you have a production line that is in the middle of putting together their product. Assume that the item has a standard assembly time of one week, and as soon as that time period is up, production begins on another. At the end of the week, the production customer goes to the “materials store” and says, “materials please!” Since the materials department, can accurately predict when the production line will need more materials, they can have the materials for them at the perfect time, exactly when they need them. This way, Just-In-time inventory reduces storage costs and overproduction. The ultimate goal for Just-In-Time Production is to have Production Perfectly Equal Demand. However, there is a lot that can go wrong here. Any miscommunication or errors in quality can throw a wrench in this system and create a lot of havoc. Kanban helps reduce these issues. The Kanban system helps relay the need for items and materials from step to step in a work process. The system makes use of cards in order to signal what is needed from the previous step in order for the step before it to start working. Referring back to the production line, before the production team finishes on their current job, they will send a Kanban card to the materials department. This card is simply a request for more materials. On the card, the production team will specify what is needed, how much is needed, and when it is needed by. These cards more up the work process rather than down to ensure that only what is needed is provided. Ultimately, the Kanban system allows you to easily and constantly communicate the current status of goods throughout your work process. The Kanban board offers a fully visual representation of the state of each job or item, letting each member of the process to predict when and what to do next. 1. Do not send defective parts to the next process. This rule helps eliminate one of the two major flaws in JIT manufacturing, quality errors. In order to provide the product exactly when the customer needs it, the product must be in perfect condition when it moves from one step to another. Otherwise, the next step cannot use it, and the customer will be forced to wait for their product. Do not withdraw without Kanban and do not withdraw greater than requested. This rule essentially ensures that everyone has accurate information on the number of goods needed and the number of goods currently on hand. 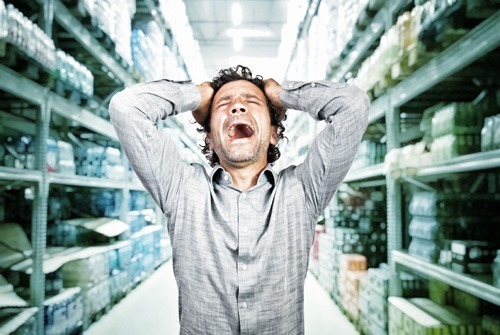 If certain goods are consistently over/underdrawn, Kanban cannot work properly as it is not working on perfect information or clear communication, leading to errors in overall inventory numbers and forecasting future demand. 3. Produce to replenish only what is withdrawn by the next process, in the order withdrawn. This rule helps you stay true to your JIT method. Keeping inventory at a minimum is the core of JIT inventory and the “pull” production system. Again, this rules is a way to follow the JIT method. If one step is producing without a Kanban then, by definition, it is overproducing. And overproducing is wrong. This rule plays to the visualization of the entire Kanban system. The card itself provides vital and detailed info on exactly what is needed for the next step and when it is needed. This ensures a clear and thorough transfer of information from one stage to the next. 6. The number on the Kanban must agree with the number of actual parts. This rule helps to reduce the overall waste and scarcity that a system could incur. As the Kanban system requires demand to perfectly equal production, any difference between this two numbers is a major issue. That is why clear communication is a huge focus of the Kanban system. Panel Built strives for constant improvement in all aspects of our business from top to bottom. Panel Built Manufacturing is a constantly improving process of making a variety of quality products, with the most effective use of time, material, equipment, space, and effort. We have implemented these aspects of lean manufacturing to our own work and manufacturing process, as well as developing key manufacturing tactics to help ensure this mentality permeates through all of our projects. If you would like to see how Panel Built, Inc. see how well our lean manufacturing system functions, let’s work together on a project! We assure you our communication, work ethic, and desire to satisfy our customers will meet or exceed all of your expectations. Give us a call sometime at 800-636-3873 or send us an email to info@panelbuilt.com. We would love to hear from you.